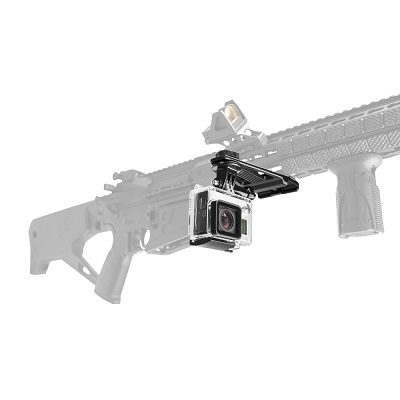 Capture your best shots at the range or in the field using the Action Camera Mount bracket with the versatile KPM mounting system for mounting onto KeyMod™/ Picatinny/ M-LOK™ accessories and rails. 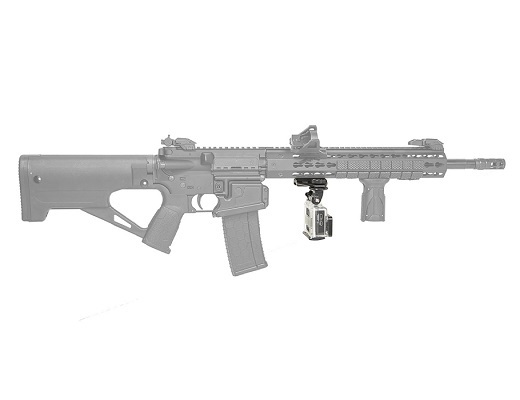 The patent pending mounting bracket will allow you to mount your camera onto just about any KeyMod™, M-LOK®, or Picatinny rails quickly and easily using the supplied hardware and tools. 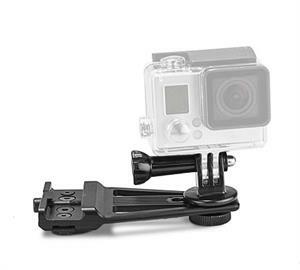 This mount bracket allows you to install your favorite action camera using the supplied universal GoPro™ type base adapter. 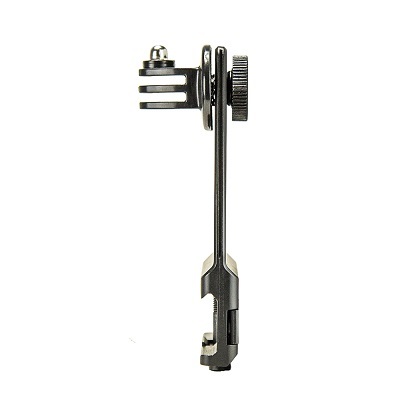 The camera base adapter can be mounted to either side of the action camera mount bracket. The universal base adapter rotates 360 degrees horizontally, and the action camera can be pivoted vertically 180 degrees within the base adapter, so you can capture that perfect angle. 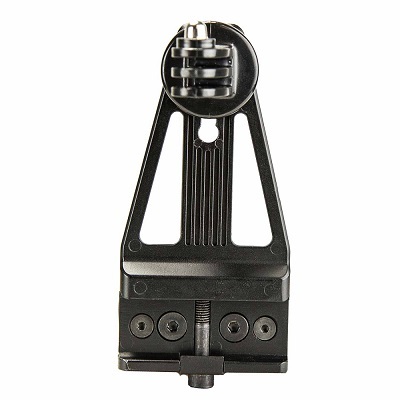 The universal base adapter is secured to the mount bracket via metal knurled thumb screw, for quick and easy camera angle adjustments. Constructed of solid aluminum, the bracket has a matte black finish.